A while back, Andy gave The Biscuit an email address. Ever since she usually sends messages that are mostly just emojis and a few short sentences. 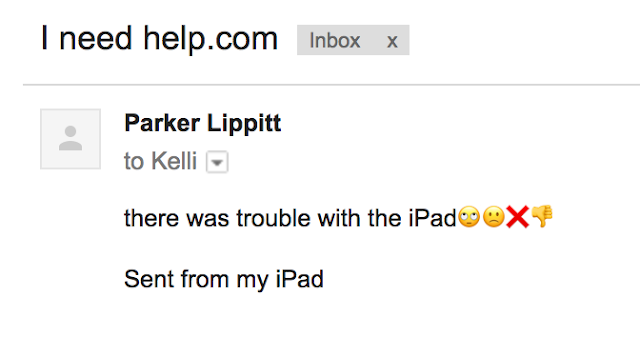 Apparently, now she thinks I'm tech support. I do like that the emojis are perfectly appropriate.